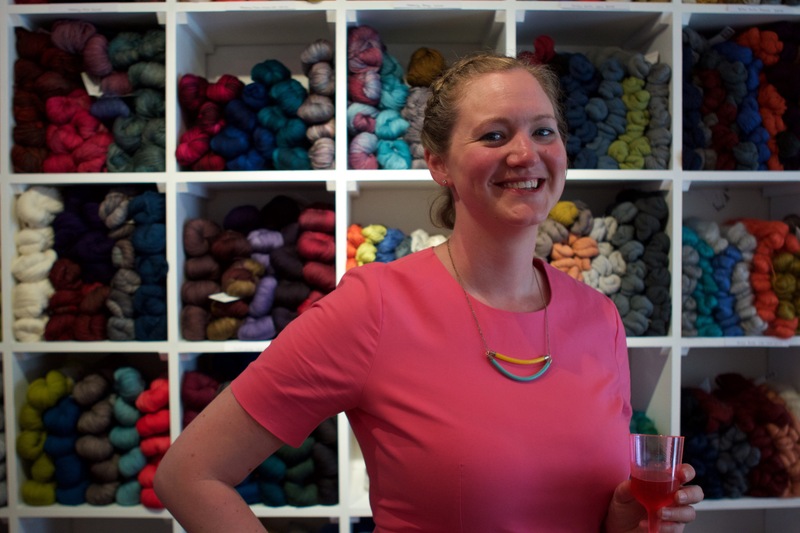 I’ve been hearing a lot about A Yarn Story – mostly through Yarn in the City, Allison, as well as seeing Carmen’s photos of her new shop on Instagram. Owned by expat American Carmen Schmidt, A Yarn Story is a beautifully curated shop that sells online, as well as from their bricks and mortar space in Bath’s charming artisan quarter. Looking at the photos it’s hard to believe that the shop isn’t even a year old yet! I’m always excited by a new shop, and asked Carmen to answer some questions for our next shop profile. A glimpse of Trailblazer, in EasyKnits ZipLight, shade Earthern. One the best things about writing Knit Play Colour has been getting to work with my favourite yarns. Many are luxurious and some are hardier, and then there’s the SweetGeorgia Superwash DK. 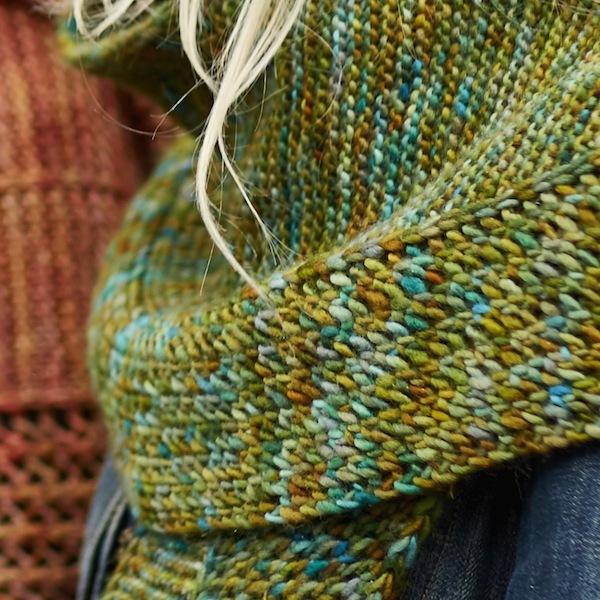 As Robynn notes in her review below, it’s a “workhorse yarn”, but of the very highest quality! I first used the SweetGeorgia Superwash DK on a sample for the Inked In hat last year and returned to it for the extensive colour palette for the pattern Flight of Colour from the book. 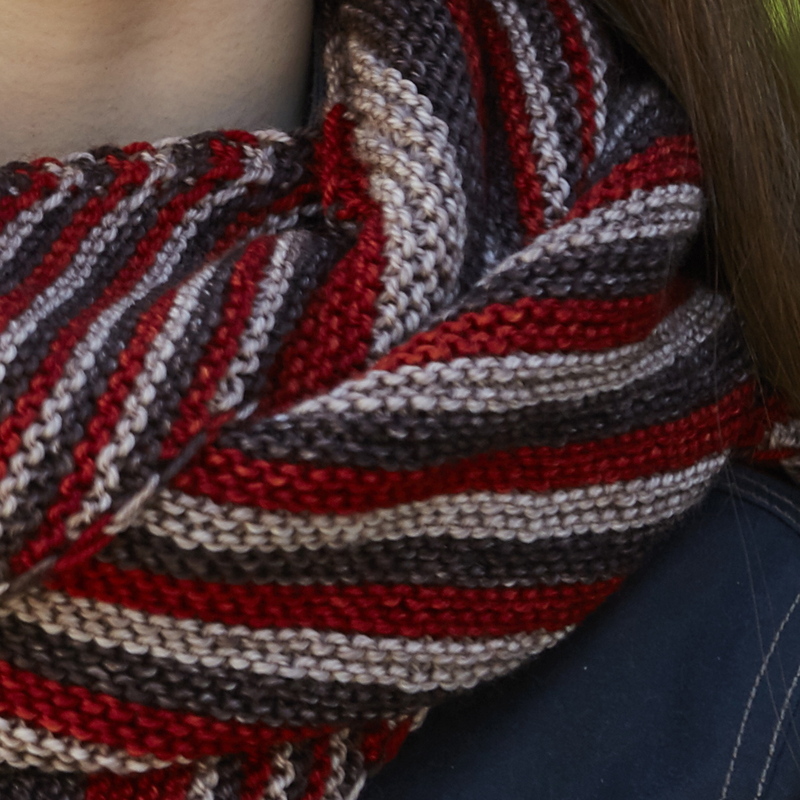 I love stripes, and the squooshiness of the yarn coupled with the infinite colour combinations with stripes is a match made in heaven for me! Hello! It’s Allison here again as Louise is busily editing patterns in the book and teasing out some photos of the new knits on social media (follow her on Twitter, Facebook and Instagram for all the sneaky peeks.). This is sneaky peek at Trailblazer – which Louise is editing while I take over the blog today! I’ve been on holiday in Canada popping into yarn shops where I can and I thought it might be fun expand on the idea of souvenir yarn shopping that I mentioned in the holiday knitting blog post and share my tips. I hope you’ll share yours in the comments!